Reach thousands of decision makers at low cost with banner ads in the Curatia Daily Brief. 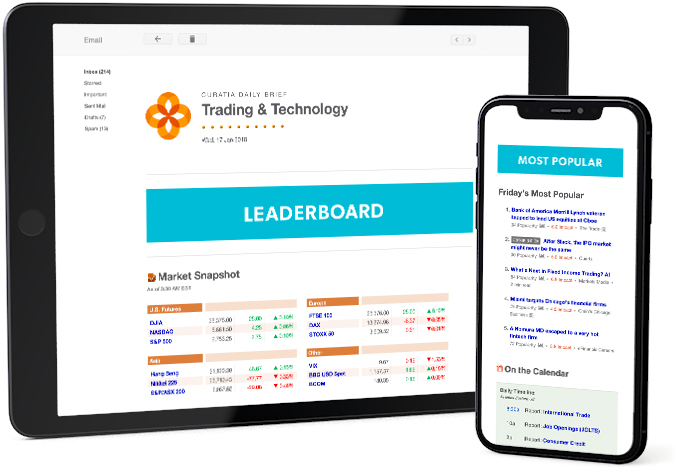 With a 34% open rate and a 45% click-through rate, the Curatia Daily Brief is required reading for industry executives and professionals in Trading & Technology. Each Curata Daily Brief includes only one ad, giving you exclusive, highly visible placement. In addition, advertising alongside high-quality, curated content will be accretive to your brand. We reserve advertising space in the Curatia Daily Brief for synergistic brands of interest to our readers. Our advertisers include trusted brands like charities and conferences. We also offer volume discounts for ten or more ads. At no additional charge, your ads will be run on Curatia.com for the same period as your email campaign. 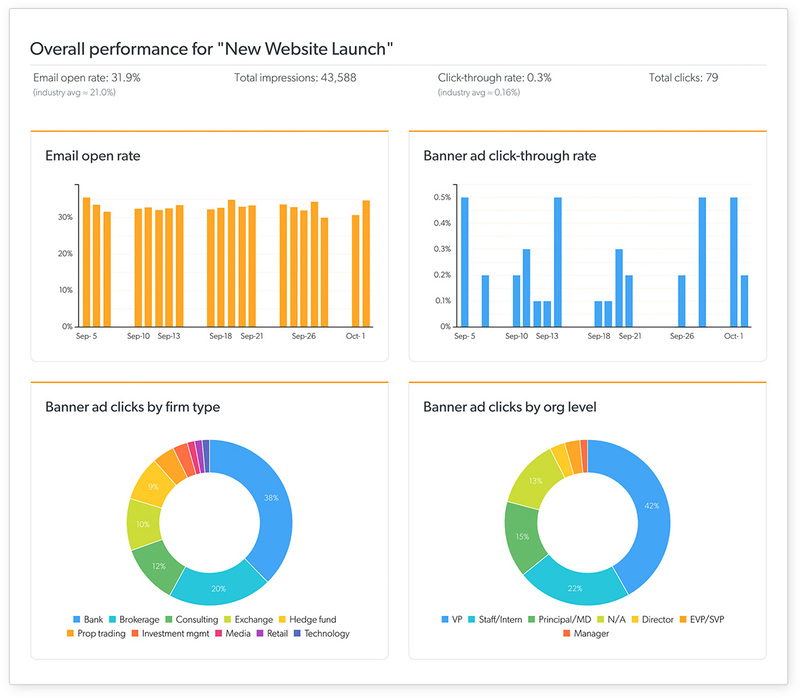 Learn which reader groups engage with your ads and compare performance against industry benchmarks.